Want to make a 12 ft GPS wall clock? This is the perfect item to light it up! 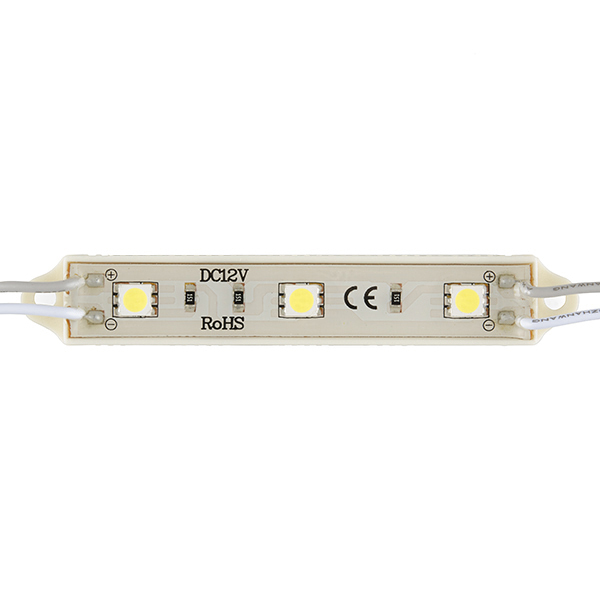 Even if that's not the project you are looking to build, these light bars pack quite a bit of light into three small white LED's and they are very easy to set up with no soldering required. 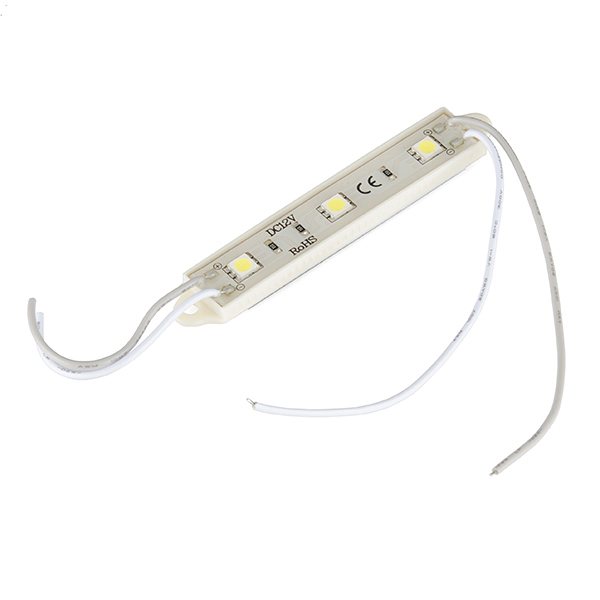 The white LED Light Bar is a pre-packaged strip of 3 high-output LEDs powered by 12VDC. Each unit comes with a fully assembled and tested PCB with current limiting resistors, a wall-mount holder and peel-away sticky foam backing, and polarized connection cables. 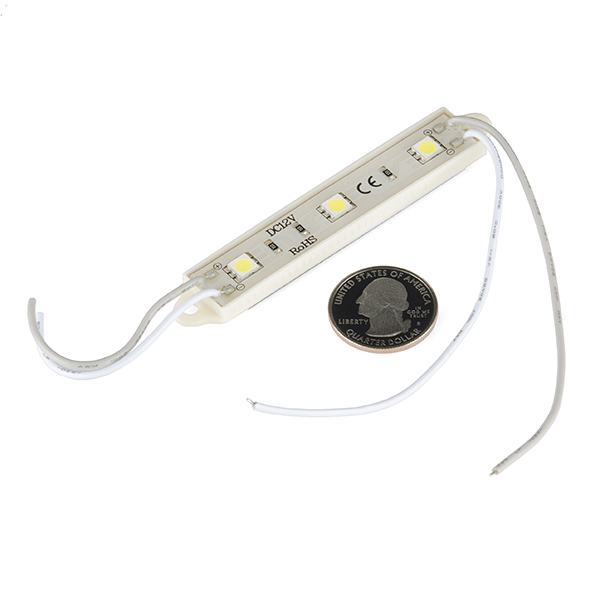 Each LED Light Bar absorbs approximately 55mA @ 12V. I think I'm going to put these on my bike. What's the gauge of the wire leads? What's the color temperature of these? Are they warm or cold white? Are these diffuse or do they provide a wide light pattern? I also would prefer these in blue. Are you going to be getting these in blue? I bought two of these to light our computer keyboard so we could use it when the lights were out. I was going to cut an old USB cable to power these from the computers USB port. Unfortunately the desk was designed in a way that I couldn't do that. Instead, one of them became a nightlight (and I lost the other). I am using a 6-volt power supply and it is bright enough to light up the room, but not too brightly. Because it has three LEDs on it, everything casts three shadows. I plan on using these to make automatic emergency backup lights in the near future.